The number of individuals certified in the TOGAF® 9 certification program as of July 1st 2012 is 14,851. This represents a doubling of the number of individuals certified in the last 12 months with 7,640 new certifications during that period. The latest statistics show that certifications are now growing at two thousand individuals per quarter. TOGAF is being adopted globally. The top five countries include the UK, Netherlands, USA, Australia and India. There are 43 TOGAF 9 training partners worldwide and 48 accredited TOGAF 9 courses. More information on TOGAF 9 Certification, including the official accredited training course calendar and a directory of certified people and, can be found on The Open Group website at: http://www.opengroup.org/togaf9/cert/. Andrew Josey is Director of Standards within The Open Group. He is currently managing the standards process for The Open Group, and has recently led the standards development projects for TOGAF 9.1, ArchiMate 2.0, IEEE Std 1003.1-2008 (POSIX), and the core specifications of the Single UNIX Specification, Version 4. Previously, he has led the development and operation of many of The Open Group certification development projects, including industry-wide certification programs for the UNIX system, the Linux Standard Base, TOGAF, and IEEE POSIX. He is a member of the IEEE, USENIX, UKUUG, and the Association of Enterprise Architects. 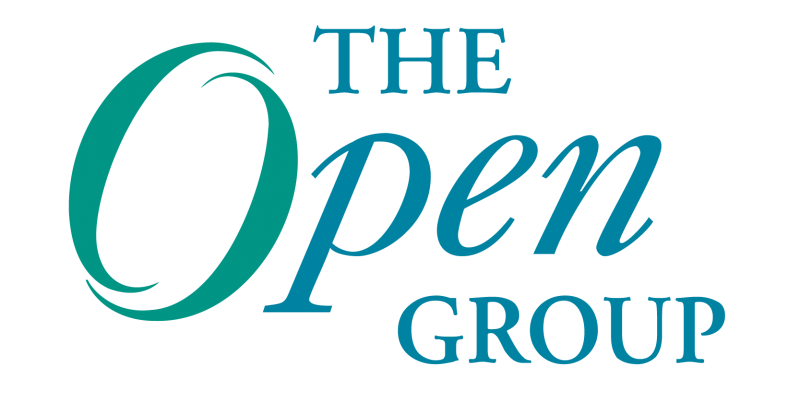 Next Post: Summer in the Capitol – Looking Back at The Open Group Conference in Washington, D.C.
Congratulations to The Open Group team ! It denotes that the EA engagement around the world is growing. Is it possible to publish the entire ranking ? I am interessed on Brazil and LATAM growing rates. Thanks Mr. Andrew for this information and for your excellent job around Open Group Certification Program. We publish a larger ranking to members of The Open Group Architecture Forum periodically. Colombia is #26 with 78 certifications. Brazil is currently ranked #29 with 63 individual certifications. Peru is #39 with 16. Argentina has 6 and ranked #50. Chile is #51 with 5. You have mentioned “TOGAF is being adopted globally. The top five countries include the UK, Netherlands, USA, Australia and South Africa” but as per your statistic India is in 5th position and South Africa is in 7. @Rosy thanks for letting me know. We’ll see about getting that corrected. Thanks for this vital information. I am from Kenya where EA engagement is fairly at infancy. I have just certified on TOGAF 9 and I would be interested in knowing the numbers in Kenya and the rest of Africa other than south Africa. Hi, can you please confirm number of foundation or certified professionals from Pakistan ? How about a person of Indian origin passing this certification in the UK? Will it be counted in India or UK? I believe just like any high rated certification like IBM is valid irrespective of location, same is applicable to TOGAF ! All the best though for your quest ! Sorry for not being too clear. I meant to ask when a person of Indian nationality pass certification in the UK, the statistics like above will add him/her in India kitty or UK kitty? Hi.. What is the latest count.. I , along with 2 of my friends, got certified today.. !!!! 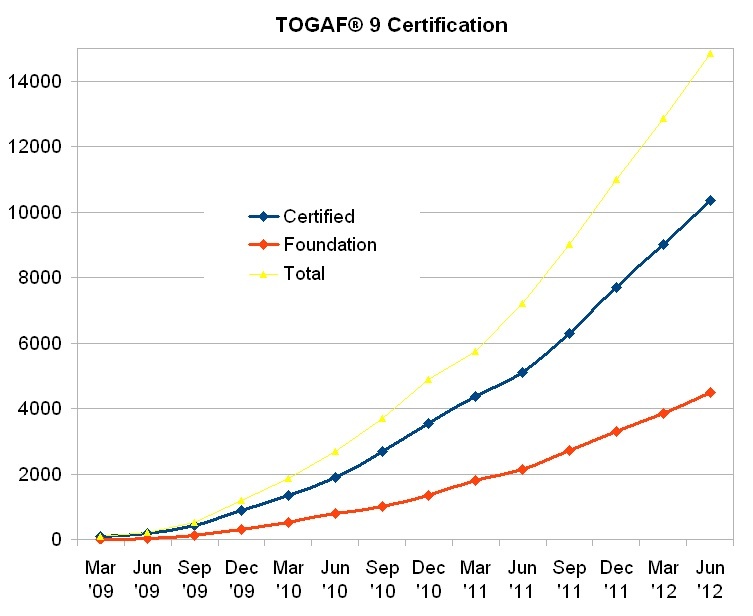 @Jignesh , as of March 31 there were 21390 TOGAF 9 certifications, 14684 at Level 2 (TOGAF 9 Certified) and 6406 at Level 1 (TOGAF 9 Foundation). To answer other queries on the blog. Please let me know the current count. Is there a place in TOGAF site to get to know the details?